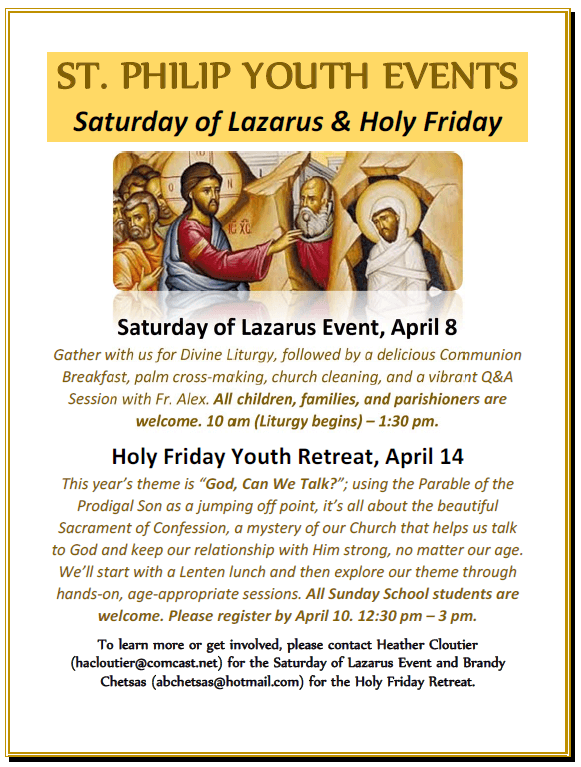 Join us this Saturday, April 8, for the Saturday of Lazarus Event! We’ll gather at 10 am for Divine Liturgy–then enjoy a pancake Communion Breakfast, palm cross-folding, church cleaning and more. All children, families and parishioners are warmly invited. The Saturday of Lazarus is the first day of Holy Week, and the raising of Lazarus narrative anticipates the glory of Christ’s own resurrection. Come be a part of it … a day not to be missed!